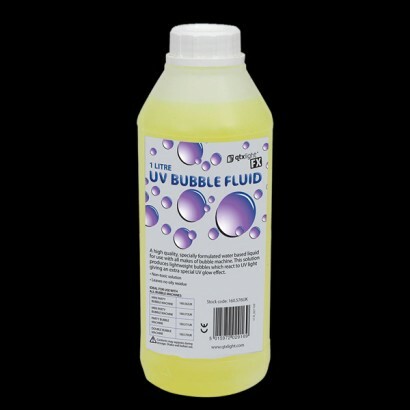 Add some UV bubble fluid to your bubble machine for endless fun. Be very careful of clothes and furnishings. We set up a small room with uv lights for a party but now my son, his friends and I all have bright green splats all over the white tops we were wearing as well as all over the carpet where the bubbles burst. The splats glow better than the bubbles did (but the light bulbs were very focused and the machine was probably pointing in the wrong direction). I'm sure it would be fine on a hard floor that can be mopped easily.